The Bravo BTP 12 High-Pressure Pump is the perfect solution for quickly inflating your raft, cataraft, IK or SUP board. Hook it up to a 12 volt battery and it puts out up to 15 psi air pressure. 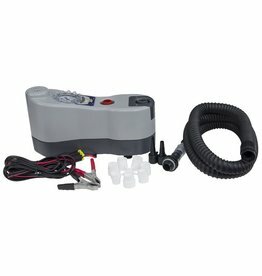 Inflate and deflate quickly with this powerful 12 volt pump.